WASHINGTON (Reuters) -- New Jersey filed a lawsuit against Volkswagen and its luxury units over the German automaker's excess diesel emissions, becoming the fourth U.S. state to take legal action. New Jersey's acting attorney general, John J. Hoffman, on Friday accused VW and its Porsche and Audi units of perpetrating a massive fraud on consumers and violating state clean air laws. 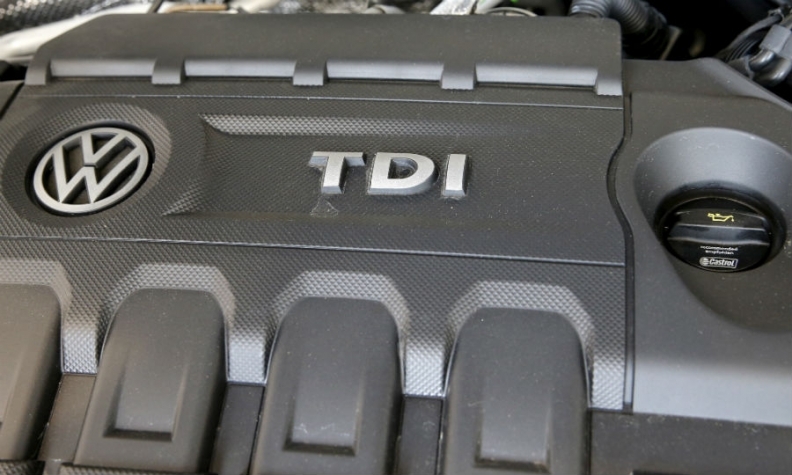 VW has admitted installing illegal diesel emissions software to allow 580,000 U.S. diesel vehicles sold since 2009 to emit up to 40 times legally allowable emissions. It faces a U.S. ban on selling 2016 diesel models and is holding talks with California, which issued a separate ban, and the EPA to win approval for a repair plan for the vehicles. "For the past decade Volkswagen engaged in one of the largest frauds in the history of the automobile industry," the lawsuit filed in Superior Court in Hudson County said. "It developed and distributed into the marketplace sophisticated software to evade emissions requirements, it misled regulators about the true environmental impact of its vehicles, and it misled consumers about the products that it was marketing as supposedly good for the environment." Volkswagen said Friday that the company's "top priority in the United States is to identify an approved remedy for affected diesel vehicles. We continue to cooperate fully with the EPA and (California) to achieve this goal." The automaker also faces investigations by 48 U.S. state attorneys general. Earlier this week, VW filed a repair and recall plan for 80,000 3.0-liter diesel SUVs and larger cars. California last month rejected a separate fix plan for more than 480,000 2.0 diesel cars, saying it was insufficient and not timely enough.